Piano owners in states like Michigan, will soon be playing and singing the blues. As we roll into the month of November, furnaces are drying the air we live in and our pianos are drying out. I have presented three options to help you manage the humidity level swings that are occurring now. 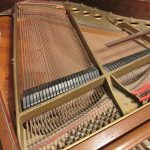 Click on the video thumbnail to learn effective ways to prevent tuning instability, malfunction of the action of your piano, and in some cases structural damage that can render your beloved piano unplayable. Craig Cole is a piano technician serving Oakland County, and surrounding communities of southeast Michigan. November through March are the optimal dry season months for piano tuning, and services such as action lubrication and action regulation. If you have questions about piano services Craig provides, or to schedule your piano tuning appointment please call Craig at: 248-647-6810. Winter is upon us, and our pianos are beginning to react to the dryness of our homes. Those of us who live in cold northern climates need to take aggressive steps to humidify our homes or any space our piano is located. One common problem piano technicians come across at this time of year is the note on the piano that sounds like two or three notes played together, though only one note is being played. The most common cause is a loose tuning pin. 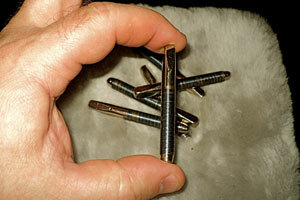 The tuning pin can be thought of as a finely threaded screw. When the pin block is dry and old, and in some cases new pianos can, if exposed to extreme dryness, lose the ability to hold the tension of the string. 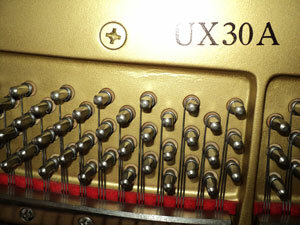 When this occurs, the tuning pin can turn/unwind and the note will sound like two or three different notes. There are three different approaches to remedy this problem. Remove old tuning pin and replace the pin with an oversize pin. 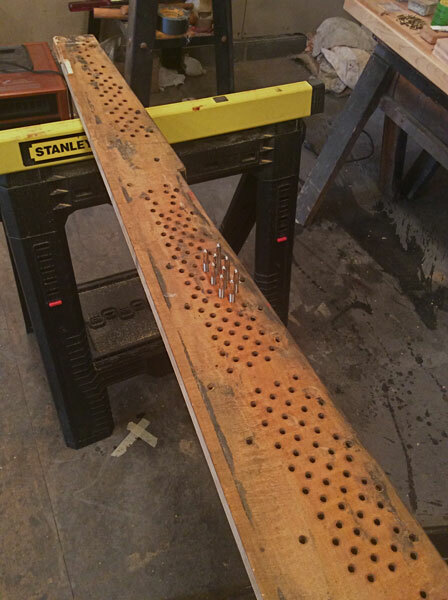 This approach is great if there are just a few loose pins…perhaps up to a dozen loose pins. 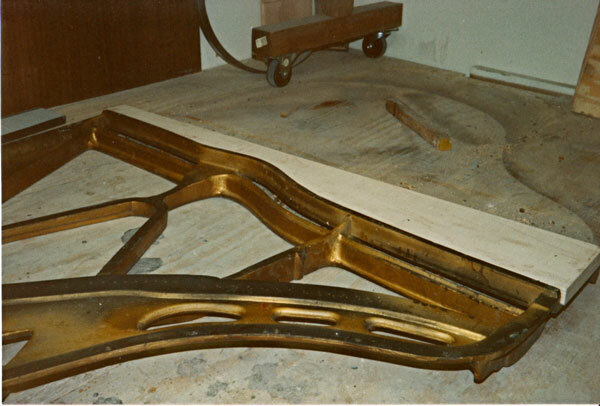 Apply a chemical at the base of each tuning pin, which will be absorbed by the pin block causing the wood to expand and tighten around the tuning pins. This can be an effective approach if the entire pin block is loose. It is also a cost effective way to gain a few more years of use from the piano without the investment of new pin block and new strings. 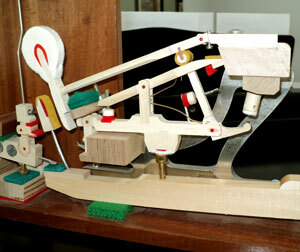 The third approach as just mentioned is pin block replacement and re-stringing of the piano. This is the best approach when the pin block is unable to hold the tension of the strings through out the entire pin block. It is the most costly approach, and may not be practical if the instrument is of poor quality, or if the instrument has other major repair needs that will cost more to have done than the purchase of a new piano. 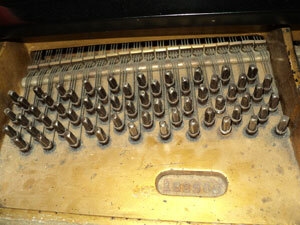 If you suspect your piano is suffering from the effects of dryness and age, it is best to consult your piano technician. They can provide you with information concerning the best approach to remedy the problem. Keep in mind each piano is unique. The approach recommended should be tailored to your specific situation…no cookie cutter approach will due. Insist on a full explanation of the benefits and problems associated with each approach. Craig Cole is a piano technician servicing pianos in the Metro Detroit Michigan area. He has clients in Howell and Grosse Pointe, Clarkston to Plymouth and Canton. With thirty years of experience and thousands of happy customers Craig is the piano service professional to call. His central phone number is; 248-647-6810. Call for an appointment today.